2018 Henley Hasler canoe and kayak race on the River Thames at Henley. 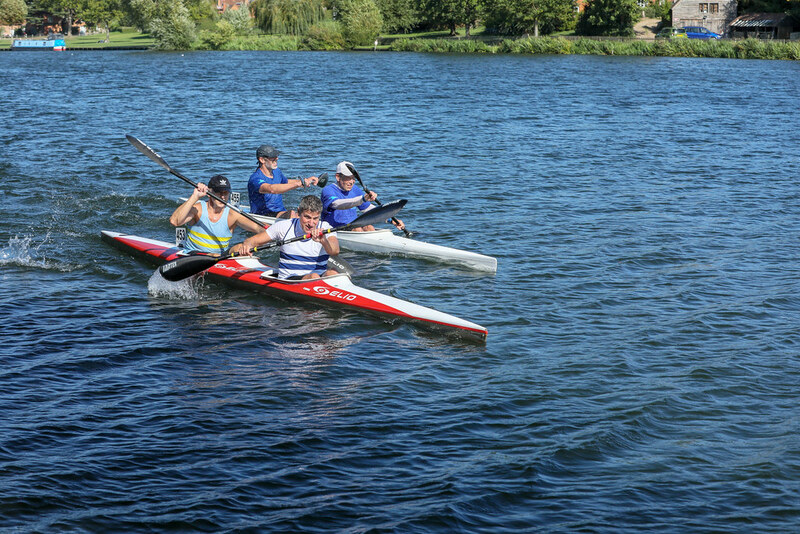 A good turnout for the Henley Hasler on Sunday 16 September. Longridge were joint forth place with Southampton on points. A special well done to Aidan and Alan on racing in division 10 over four miles in windy conditions. Max continues to get closer to his opposition in Lightnings. Well done to Kerenza, Matt and Cnochur in tough conditions in division nine. I think I managed to get photos of everyone except Max. Experienced paddlers reported that it was like paddling on the sea and many capsized. The rive traffic together with the wind makes conditions challenging. Full provisional results may be viewed here.